Santa Rosa Brake System | Auto Japan, Inc. The most important component of your vehicle is a good working brake system. 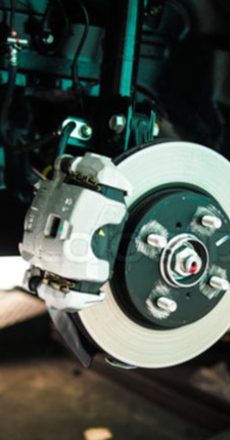 From brake pads to hydraulic ABS systems, we provide full service brake system inspection, maintenance and repair. Every brake service should start with an inspection. We take inspecting your vehicle’s brakes very seriously and provide a thorough check of the complete system including the condition of your brake fluid. We use only the finest quality brake pads available, whether they are OEM or after-market, to provide quiet performance and long life. Whether it is resurfacing your existing brake rotors or drums or they require replacement because they are past their service limit, the costs and options are discussed with you. Illumination of your Anti-Lock Brake System’s light indicates a problem with your braking system, which is a safety issue. Routine maintenance is necessary to assure that this system is working properly.